Clear glass is the glazing preference for many of our clients. With no glazing bars, clear glass allows for maximum natural daylight and solar gain, providing an uninterrupted view beyond the window. At Clement we offer a variety of decorative lead options for your steel windows, including both applied and genuine leads. These can be offered in rectangular or diamond configurations, as you’ll see in the examples below, although leads in a bespoke pattern are also possible. Genuine leaded lights are only supplied single glazed in clear or obscure glass. Rectangular leaded glass is commonly found in older properties with decorative windows, made up of small sections of glass. Lead is then added to the outside glass pane. If your home is an older property, you may choose rectangular leading options in keeping with its traditional style or architecture. We recommend either 9mm oval lead or 12mm flat lead. 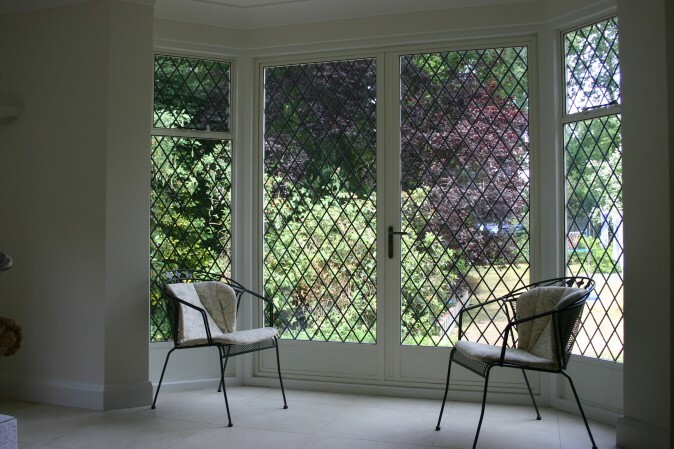 Similar to the rectangular leaded glass, diamond leaded glass is another form of decorative window glazing supported by lead on the outer glass pane – as its namesake suggests, the lead creates a diamond pattern. 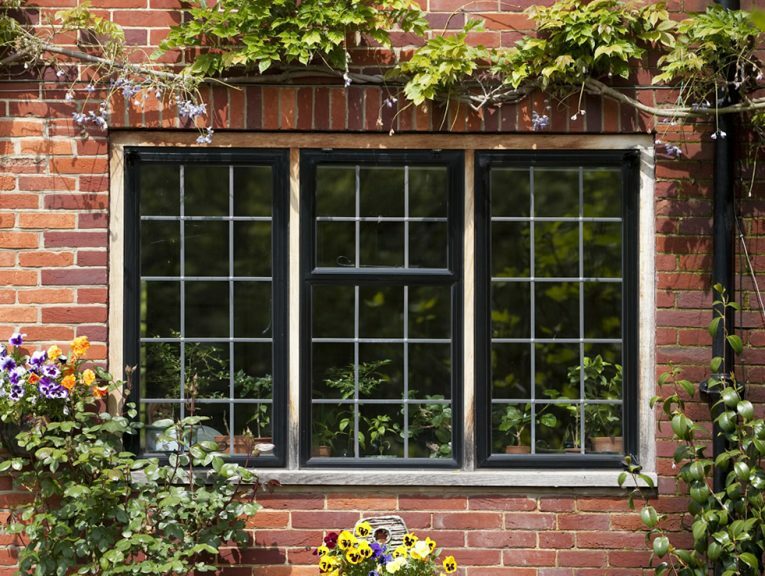 Many people choose diamond leaded windows to add character to their home, particularly if they are looking to replicate the design of traditional leaded windows as seen in many period properties. We recommend either 9mm oval lead or 12mm flat lead. A Georgian bar is a style of glazing that typically splits the glass unit into small panes. In order to replicate Georgian bars, we offer multi pane windows that use Clement’s G+ system for added authenticity. G+ uses an engineered welded steel strip fabricated in a horizontal (or horizontal and vertical) pattern to match the configuration of the original windows. This gives the illusion of multi pane windows, but using only one piece of glass and will result in greater thermal efficiency. The Georgian Fenestra joint system uses welded horizontal and vertical bars to replicate the original window design. 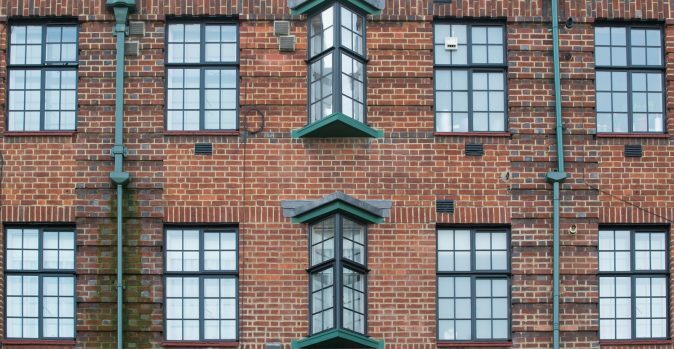 When deciding on your windows, you’ll need to consider whether you require single or double glazed windows. 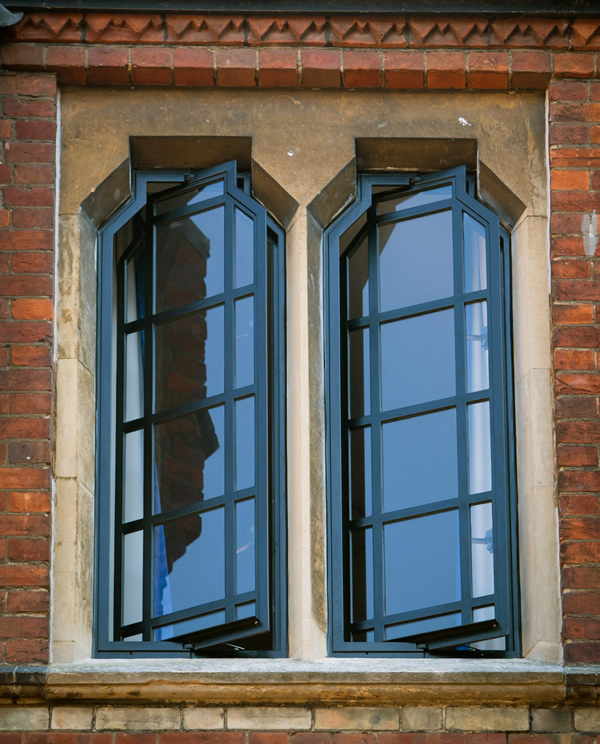 Whilst the majority of our products at Clement Windows use double glazed units, there are circumstances where you might need to make use of single glass, such as for particularly small window panels or where you may be replicating the aesthetics of an historical building. If you’re not sure about the best options for your property, our sales team will be happy to advise you as we have extensive experience with both modern and period buildings in residential or commercial settings. Additionally, we can provide a range of specialist glass options to suit a variety of more complex needs, from insulating Planitherm Total Plus glass and thermally efficient argon or krypton filled glass, to glazing options that provide you with privacy whilst still allowing natural light into your home, such as satin opaque glazing or Pilkington obscure glass. If, after reading this, you find that there are some aspects that you remain confused about, contact one of our sales team today. We’ll be happy to advise you on any technical terminology and guide you through our window range to help you to make the right choice.